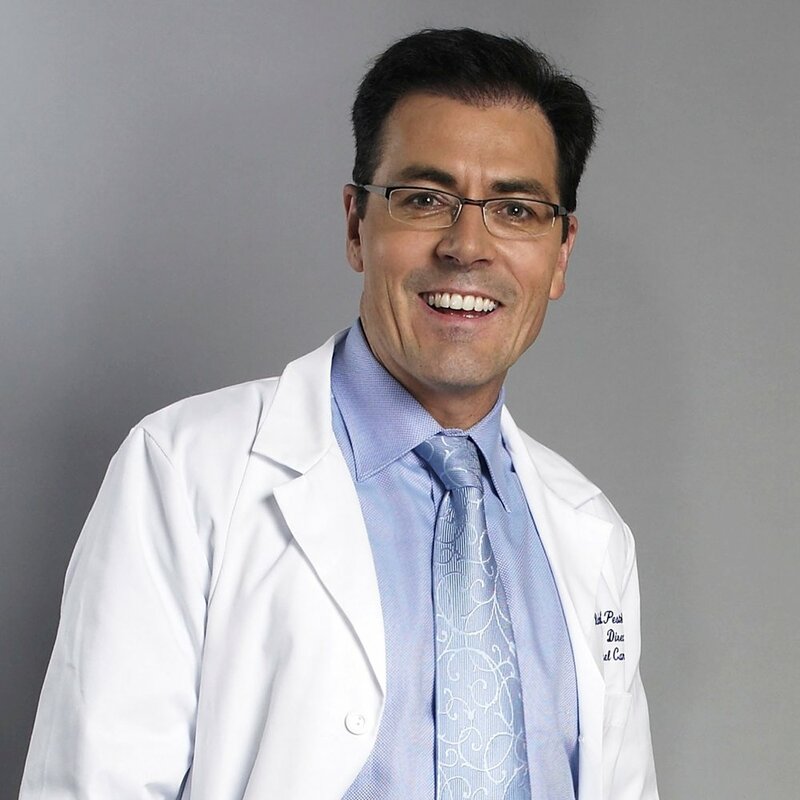 Originally from Perth, Australia, Dr. Pestell holds a medical degree from the University of Western Australia, and a Ph.D. from the University of Melbourne, Howard Florey Institute. He conducted clinical training in oncology and endocrinology and was inducted as a Fellow of the Royal Australian College of Physicians. His postdoctoral research at the Harvard School of Medicine and Massachusetts General Hospital with Dr. Larry Jameson focused on endocrine oncology. He completed his executive MBA from New York University Stern School of Business in 2011. He has received many awards for his research discoveries including elected membership to ASCI (American Society of Clinical Investigation), Elected Member, Royal Society of Medicine, the RD Wright Medallion, Elected Fellow, American Association for the Advancement of Science, the Eric Susman Prize in Medicine, Advance Global Australian Award (Biotechnology), a Doctor of Medical Sciences, HonorisCausa, from the University of Melbourne, and awards from Susan G. Komen (Light of Life award, Jamie Brooke Lieberman Award). He has several issued patents in biotechnology, diagnostics and cancer therapeutics. 1. Ju X, Ertel A, Casimiro MC, Yu Z, Meng H, McCue PA, Walters R, Fortina P, Lisanti MP, Pestell RG Novel oncogene-induced metastatic prostate cancer cell lines define human prostate cancer progression signatures. Cancer Res. 2013 Jan 15;73(2):978-89. doi: 10.1158/0008-5472.CAN-12-2133. Epub 2012 Nov 30. PMCID: PMC3561759. 2. Ju, X. and Casimiro, M.C., Gormley, M., Meng, H., Jiao, X., Katiyar, S., Crosariol, M., Chen, K., Wang, M., Quong, A.A., Lisanti MP, Ertel A, Pestell RG. Identification of a cyclin D1 network in prostate cancer that antagonizes epithelial-mesenchymal restraint. Cancer Research. 2014 Jan 15; 74(2):508-19. PMCID: PMC3914674. 3. Casimiro, M.C., Ju, X., Gormley, M., Meng, H., Jiao, X., Katiyar, S., Crosariol, M., Chen, K., Wang, M., Quong, A.A., Lisanti MP, Ertel A, Pestell RG. Cyclin D1 promotes androgen-dependent DNA damage repair in prostate cancer cells. Cancer Research, 2016 Jan 15;76(2):329-38. PMCID:PMC4715975. 5. Wu K, Katiyar S, Li A, Liu M, Ju X, Popov VM, Jiao X, Lisanti MP, Casola A, Pestell RG. Dachshund inhibits oncogene-induced breast cancer cellular migration and invasion through suppression of interleukin- 8.. Proc Natl Acad Sci USA. 2008 May 13;105(19):6924-9. PMCID: PMC2374551. 6. Zhou J, Wang C, Wang Z, Dampier W, Wu K, Casimiro MC, Chepelev I, Popov VM, Quong A, Tozeren A, Zhao K, Lisanti MP, Pestell RG. Attenuation of Forkhead signaling by the retinal determination factor DACH1. Proc Natl Acad Sci USA. 2010 Apr 13;107(15):6864-9. doi: 10.1073/pnas.1002746107. Epub 2010 Mar 29, PMCID: PMC2872468. 7. Chen K, Wu K, Wang L, Jiao X, Ju X, Li Z, Ertel A, Addya S, McCue P, Lisanti MP, Wang C, Davis RJ, Mardon G, Pestell RG. The endogenous Cell-Fate Factor Dachshund restrains prostate epithelial cell migration via repression of cytokine secretion via a CXCL Signaling Module. Cancer Research. 2015 2015 May 15;75(10):1992-2004. PMID:25769723. 9. Fu M, Wang C, Reutens AT, Wang J, Angeletti RH, Siconolfi-Baez L, Ogryzko V, Avantaggiati ML, Pestell RG. p300 and p300/cAMP-response element-binding protein-associated factor acetylate the androgen receptor at sites governing hormone-dependent transactivation. J Biol Chem. 2000 Jul 7;275(27):20853- 60, PMCID: Identifier absent. 10. Wang, C., Fu, M., Angeletti, R.H., Siconolfi-Baez, L., Reutens, A.T., Albanese, C., Lisanti, M.P., Katzenellenbogen, B.S., Kato, S., Hopp, T., Fuqua, S.A., Lopez, G.N., Kushner, P.J., and Pestell, R.G., Direct acetylation of the estrogen receptor alpha hinge region by p300 regulates transactivation and hormone sensitivity. J Biol Chem. 2001 May 25; 276(21): p. 18375-83, PMCID: Identifier absent. 11. Fu M, Wang C, Wang J, Zhang X, Sakamaki T, Yeung YG, Chang C, Hopp T, Fuqua SA, Jaffray E, Hay RT, Palvimo JJ, Jänne OA, Pestell RG. Androgen Receptor Acetylation Governs Transactivation and MEKK1-Induced Apoptosis Without Effecting In Vitro Sumoylation and transrepression Function. Mol Cell Biol. 2002 May;22(10):3373-88. 13. Liu, M., Casimiro, M.C., Wang, C., Shirley, L.A., Jiao, X., Katiyar, S., Ju, X., Li, Z., Yu, Z., Zhou, J., Johnson, M., Fortina, P., Hyslop, T., Windle, J.J., and Pestell, R.G., p21CIP1 attenuates Ras- and c-Mycdependent breast tumor epithelial mesenchymal transition and cancer stem cell-like gene expression in vivo. Proc Natl Acad Sci USA. 2009 Nov 10; 106(45): p. 19035-9. PMCID: PMC2776463. 14. Genander, M., Halford, M.M., Xu, N.J., Eriksson, M., Yu, Z., Qiu, Z., Martling, A., Greicius, G., Thakar, S., Catchpole, T., Chumley, M.J., Zdunek, S., Wang, C., Holm, T., Goff, S.P., Pettersson, S., Pestell, R.G., Henkemeyer, M., and Frisen, J., Dissociation of EphB2 signaling pathways mediating progenitor cell proliferation and tumor suppression. Cell. 2009 Nov 13; 139(4): p. 679-92, PMCID: PMC2786256. 15. Liu, M., Sakamaki, T., Casimiro, M., Willmarth, N., Quong, A., Ju, X., Ojeifo, J., Jiao, X., Yeow, W-S., Wang, C.,Katiyar, S., Shirley, L., Albanese, C., Joyce, D., Pestell, R.G. The canonical NF-κB pathway governs mammary tumorigenesis in transgenic mice via tumor stem cell expansion. Cancer Res. 2010 Dec 15;70(24):10464-10473.,k, PMCID: PMC3010731. 16. Jiao , X., Katiyar, S., Willmarth, N.E., Liu, M., Ma, X., Flomenberg, N., Lisanti, M.P., and Pestell, R.G., cJun induces mammary epithelial cellular invasion and breast cancer stem cell expansion. J Biol Chem. 2010 Mar 12; 285(11): p. 8218-26. PMCID: PMC2832973. 17. Lee RJ, Albanese C, Fu M, D'Amico M, Lin B, Watanabe G, Haines GK 3rd, Siegel PM, Hung MC, Yarden Y, Horowitz JM, Muller WJ, Pestell RG. Cyclin D1 is required for transformation by activated Neu and is induced through an E2F-dependent signaling pathway. Mol Cell Biol. 2000 Jan;20(2):672-83. PMCID: PMC85165. 18. Neumeister P, Pixley FJ, Xiong Y, Xie H, Wu K, Ashton A, Cammer M, Chan A, Symons M, Stanley ER, Pestell RG. Cyclin D1 governs adhesion and motility of macrophages. Mol Biol Cell. 2003 May;14(5):2005-15. Epub 2003 Feb 21. PMCID: PMC165093. 19. Wang C, Li Z, Lu Y, Du R, Katiyar S, Yang J, Fu M, Leader JE, Quong A, Novikoff PM, Pestell RG. Cyclin D1 repression of nuclear respiratory factor 1 integrates nuclear DNA synthesis and mitochondrial function. Proc Natl Acad Sci USA. 2006 Aug 1;103(31):11567-72. Epub 2006 Jul 24. PMCID: PMC1518800. 20. Casimiro MC, Crosariol M, Loro E, Ertel A, Yu Z, Dampier W, Saria E, Papanikolaou A, Li Z, Wang C, Fortina P, Addya A, Tozeren A, Knudsen ES, Arnold A, Pestell RG. ChIP sequencing of cyclin D1 reveals a transcriptional role in chromosomal instability in mice. J Clin Invest. 2012 Mar 1;122(3):833-43. doi: 10.1172/JCI60256. Epub 2012 Feb 6. PMCID: PMC3287228.